Having made a few crew switches since the Winter Head, preparation for Fairbairns had been quite interrupted due to illness and various other things. Nevertheless, we were ready for it on the day and determined to do ourselves justice. We went off hard from the start, and made up ground on the LMBC crew ahead of us. We got to within a length by the end of the reach but then didn’t get any closer. The response in the crew was greatly improved and we really gave it everything to the end. The final result wasn’t quite as good as we had hoped, but there’s lots to work on for next term! After freezing our socks off marshalling in the rain, singing to keep our spirits up, we made a reasonable start. Unfortunately, this was not to last. Very quickly a few killer crabs sent us hurtling into the bank. However, we managed to stay focussed and our second start was much better. Throughout the rest of the race everyone pulled out all the stops to make up for lost time and settled into a good rhythm. 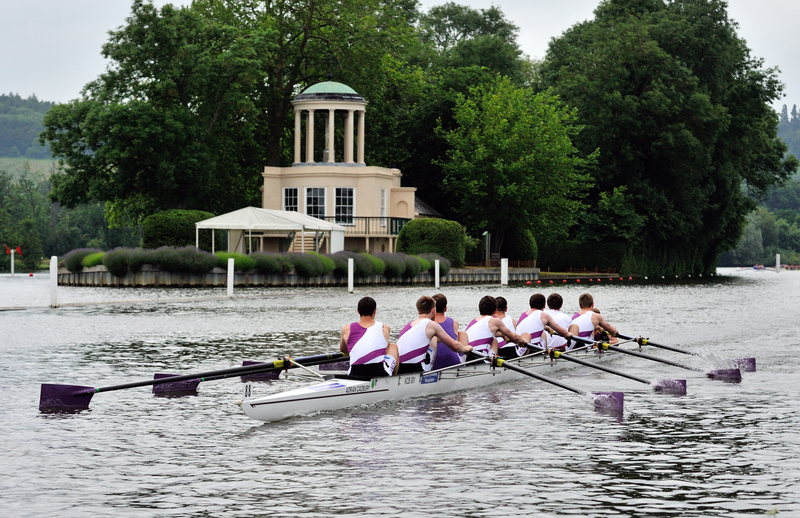 Urged on by an enthusiastic bank party, our motivational cox and the men’s novice crew, who’d waited for us at the boat house after their race that morning, we overcame the initial knock to our morale and put in some good effort. It’s a shame we were playing catch up for most of the race, there were moments of really nice rowing when we came together as a team. 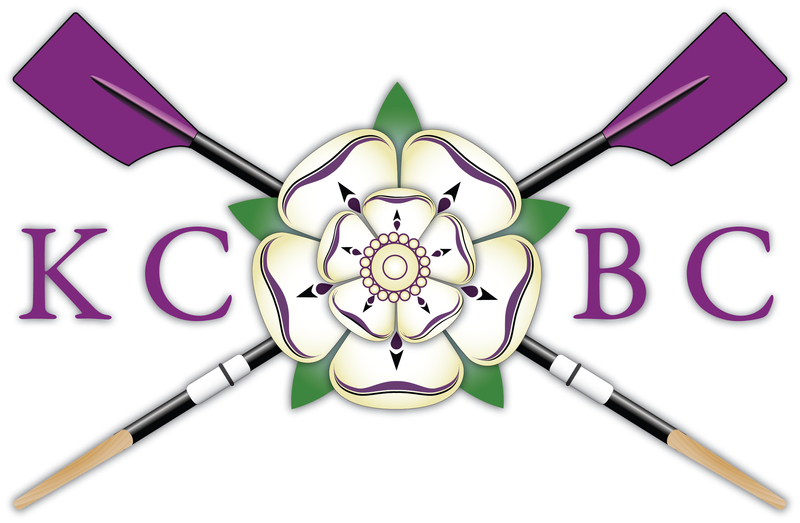 W1 8+: [Cox] Jenny Shaw, [Bow] Ariane Welch,  Helen Spriggs,  Nicola Runciman,  Fiammetta Luino,  Clare Kitteringham,  Georgia Clements,  Renate Fellinger, [Stroke] Sarah Williams. The day of the Clare Novices Regatta was so cold that marshalling involved giving warm-up exercises over the cox-box! 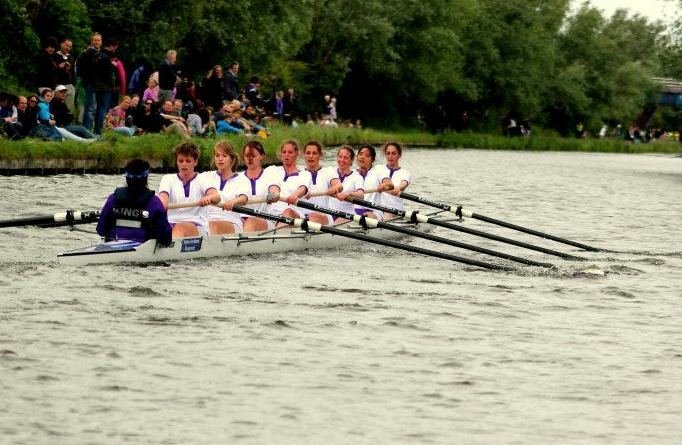 Consequently, spirits were high for our first race against Wolfson A. The crew made a quick, clean start in spite of the wind which had picked up and, settling into a decent rhythm, we soon began to pull away. Then, disaster struck and we began to drift with the wind towards the tow path race lane. It was a lot stronger than anticipated and, having not rowed in such conditions before, was difficult to recover. But the crew didn’t let it unsettle them and rowed through it, managing to get it back at the last second. And thanks to a sympathetic umpire we were given the victory that the girls very much deserved. Our second race was against Jesus A, in which our slightly less energetic start against the powerful first few strokes from Jesus put them ahead of us early on. The crew once again found a good rhythm and were making good use of all the weeks of training, but fatigue and a few crabs had sneaked in and try as we could, we couldn’t make up the distance. All in all, there were some really promising moments, as well as real team work and determination.